Pack Size: The pack is of 75 gms. 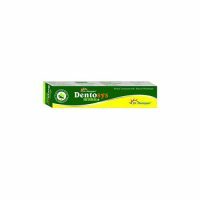 Kidodent Dental gel has a very palatable flavor and is widely accepted by children. Kidodent Dental gel does not contain too much chemicals and is not harmful to children if they eat it. The product contains Sodium monofluoro phosphate and fluoride oral gel. 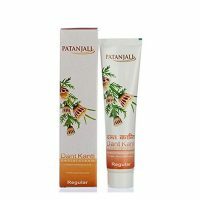 The toothpaste is used to remove plaque, protect tooth enamel from attack by bacteria that cause dental cavities and remineralize the areas of the tooth that have been attacked by acids from bacteria. Kidodent Dental gel should be used 1 to 2 times per day. Put a pea-sized toothpaste on the brush Brush your kid’s teeth with the medicated gel as directed by your dentist to provide maximum protection for your teeth.